Scheer ought to have made a distinction between his support for Canadian oil workers, and support for the racism and violence that has been associated with United We Roll. Many of the participants in last week's United We Roll convoy said they were there to unite Canadians around a pipeline. 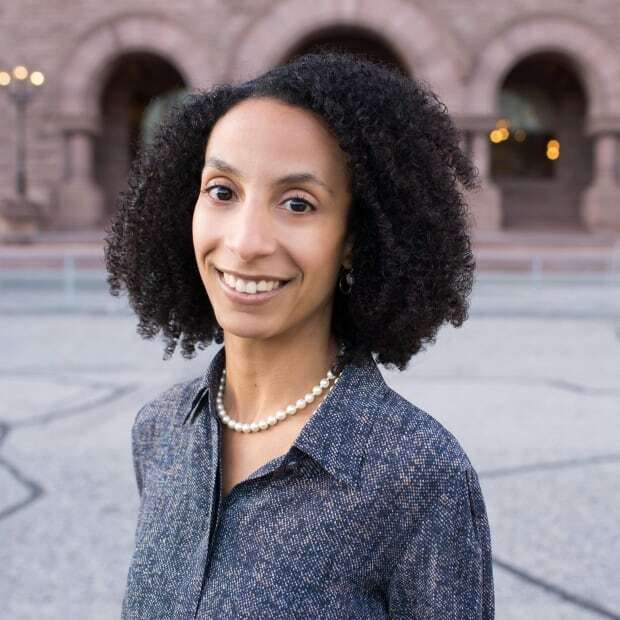 Others had more specific goals: to see the Liberal government cancel bills C-69 and C-48, which critics charge will act as enormous industry obstacles. 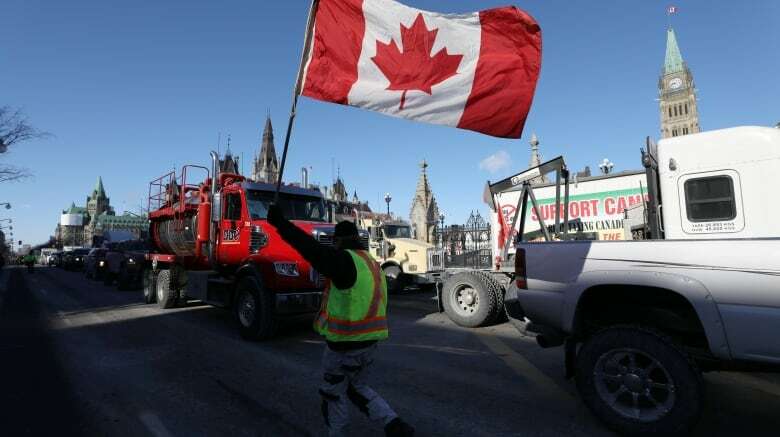 But as several observers noted watching the convoy make its way to Ottawa from Alberta, United We Roll had also become a space for far-right groups to spew racism and xenophobia. Signs denouncing open borders, protesting Canada signing on to the global migration pact and accusing the prime minister of treason hung alongside signs supporting pipelines. Some convoy participants wore hats that said "Make Canada Great Again," a nod to U.S. President Donald Trump's slogan that has become associated with denigrating Mexicans, asylum seekers and banning Muslims from entering the U.S.
Because the convoy has become affiliated with such unsettling rhetoric, unwavering support from high-profile Conservative politicians — such as Conservative leader Andrew Scheer, who addressed the group last week — is troubling, and could potentially hurt the party's chances in the upcoming fall election. It's clear why Conservative politicians would want to support the rally. With seemingly endless controversy swirling around Prime Minister Justin Trudeau and his role in pressuring (or not) former Attorney General Jody Wilson-Raybould over SNC-Lavalin, the Conservatives surely want to seize the opportunity to marry new political scandal with longstanding frustration over pipeline inertia. And with Maxime Bernier trying to make inroads with the further right areas of the party's base, Conservatives need to show unwavering support for western Canada, pipelines and the oil and gas industry. But Scheer ought to have made a distinction between his support for Canadian oil workers, and support for the racism and violence that has been associated with United We Roll. Conservative Senator David Tkachuk even told the crowd to "roll over" Liberals across the country, and he has since refused to apologize. The rally has also been associated with Yellow Vests Canada, a group whose Facebook page is rife with racist and xenophobic views, particularly towards Muslims and immigrants. In fact, the United We Roll convoy was originally named the Yellow Vest Convoy, but was changed due to the obviously problematic association. Members of the Yellow Vests Canada Facebook group have advocated for MP Iqra Khalid to be deported, called visible minorities sub-human and scum, and made death threats against the prime minister. Despite that, United We Roll lead organizer Glen Carritt implied that everyone would be welcome to attend ("It doesn't matter — you can wear a yellow vest, or blue coveralls or black hardhat or suit and tie," he said) and Yellow Vest organizer Mark Friesen was indeed in attendance. One of the speakers at the rally was Faith Goldy, who was fired from Rebel Media after appearing on a neo-Nazi podcast, and who regularly bemoans the erosion of "white identity." Scheer spoke on the same platform that she did, ignoring what should be a toxic association. With recent polls showing the Conservatives are in a position to form government, the party needs to start clarifying what, exactly, it stands for. Before the last federal election in 2015, Conservatives were riding high in the polls and a renewed government was within reach. But in late September and early October, the Conservatives doubled-down on their previous decision to ban the niqab in citizenship ceremonies and pledged to implement a tip line for "barbaric cultural practices." Almost a week after this announcement, Conservatives declined in the polls and never recovered. The unwillingness to address — or even acknowledge — these racist and xenophobic undercurrents in United We Roll plays right into progressive messaging that the party is too cozy with the far-right. It also puts the party at risk of alienating centrists in swing ridings who would otherwise be open to voting for Conservatives, but are hesitant to align themselves with a party that refuses to even acknowledge (never mind denounce) hateful views. It could also point to an absence of political courage. During the presidential election in 2008, Republican John McCain defended Barack Obama against racist questions from audience members during a town hall event. Scheer could just as easily have spoken at the United We Roll rally by telling protestors he supports their efforts with regards to the oil and gas industry, while simultaneously chastising the racist and xenophobic rhetoric that was circulating. Instead, Scheer simply stated: "We're standing with you." That made it easy for critics to paint Conservatives as bowing to pressures of the far-right. The question for Canadians now becomes, are the Conservatives out of touch, or willfully ignoring this rhetoric? And if elected prime minister, would Scheer remain silent if people continue to publicly spew this hate? The Conservatives' failure to draw a line in the sand between legitimate grievances about the oil and gas industry and illegitimate grievances about immigrants, Muslims and minorities will ultimately hamper the party's ability to reconnect with voters in diverse urban and suburban communities across the country. Voters they will desperately need to win October's election.